It is the goal of Barbara Hatch School of Dance to provide dance education in a friendly, nurturing environment, as well as appreciation of all the arts, love of music and movement. Dancers are not born, they are made, and the best dancers are made right here at BHSOD. Sign in with the email address you have on file with us. On your initial visit to the site, click 'forgot password' to set up your password. Please DO NOT set up a new account for your dancer. Every registered dancer has an existing account already. To access that account, please follow the directions above. Our system can only accommodate one account per dancer. 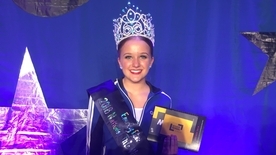 Grace Turner "Miss Energy 2018"